Materials make the difference in 3D printing. A good print ultimately comes down to the a harmonious coming together of materials, hardware, and software. While much of the focus today is on advanced materials including metals and bioprintable living matter, polymers remain at the heart of additive manufacturing, comprising the largest materials segment and adaptable to use in many additive technologies. For extrusion-based/FFF 3D printing, filament is the key element, and making it requires a certain finesse and focus to ensure the best quality. One Ohio-based company is increasing its focus and has seen its founders go all in on 3D printing. At last year’s RAPID + TCT, one quick meeting during a conversation with Cleveland-based MakerGear was with Fila-Mint, headquartered nearby. It was then that I met Brian Hanzel and Amy Harper for the first time; we were recently in touch again as Hanzel invited me to the company’s new facility in Chesterland, Ohio to talk about business and check out their new line. Hanzel, with a background in manufacturing, has broad experience throughout a variety of sectors that led him down the path toward additive manufacturing. Work in RVs, motorcycles, housing, and plastics provided ample hands-on opportunity working wth a spectrum of manufacturing equipment that afforded a familiarity with their mechanics. In 2014, he began to retrofit a line to extrude plastic into filament for 3D printing, working with Harper in their garage. The evening work, starting around April of that year, was their first foray into making filament. “You never saw two people so excited to make a bundle of string,” he enthused as we talked about Fila-Mint’s origins. “We knew we had to do it all the way or not at all,” Hanzel explained of the start of the actual company. Harper’s boss at the time put them in touch with a medical tubing company in Indiana, which seemed a good fit due to the precision required in the medical field. “The equipment that we use was highly specialized to manufacture very tight-tolerance medical tubing. It has been updated to meet the specific demands of extruding thermoplastics for 3D printers,” the FIla-Mint site explains of the use for this connection. In keeping with the all-or-nothing mindset, in 2015 Hanzel went full time with Fila-Mint. This was during the downswing of the hype surrounding 3D printing, and startups were popping up seemingly everywhere. By this time, many had already entered and exited the business, but Hanzel and Harper were determined to dedicate their time and energy to creating a viable business and a high-quality product. What started as a side project in the evenings, Hanzel explained, has become a full-time endeavor for both; Harper went full time with Fila-Mint more recently, in November 2017, having previously juggled another job with the business. It’s not just their time commitment increasing; the attention to the business has led to growth, and Fila-Mint moved into its new facility about a month and a half ago. Going from 700 square feet of space, dominated by their extrusion line, to a significantly more spacious 3,500 square feet allows for additional room for growth. The machinery at Fila-Mint HQ all has a personal touch on it; in addition to the updated extruding equipment, the company’s winder is a revamped metal stamping machine, which Hanzel gutted and converted into a purpose-specific machine set to precisely wind spools of finished filament. Fila-Mint has room to add on additional capabilities now, and is looking toward additional extruders, putting thought into the materials to run on them. They will be running trials soon on materials including three types of TPU, polycarbonate, and PETG; what they ultimately roll out, Hanzel noted, will depend on the feedback they get. “Being small guys, it’s tough to know what will sell, what will work — so we’re trying them all out,” he said. With know-how in plastics, and with the prominence of polymers in 3D printing, the team are also thinking about the potential of creating powders for SLS 3D printing, and has taken their own SLS 3D printer out of storage to look into developing additional offerings. In addition to Hanzel and Harper, Fila-Mint has several part-time employees working to keep operations running smoothly, stocking, shipping, straightening, and assisting in day-to-day business. As business picks up and they continue to develop additional expertise in 3D printing, Hanzel and Harper remain enthusiastic about one important part of the business: the cool factor. “For us it’s still really exciting to see someone take our string and make something of it,” Hanzel said, discussing projects where Fila-Mint filament had been put to use. Chesterland, where Fila-Mint is located, is no stranger to 3D printing, as local schools have been bringing the technology into STEM program offerings and MakerGear also has a production facility located nearby. Northeast Ohio is part of the growing Tech Belt region, and additive manufacturing is comfortably a part of that. Growth continues in this area as the profile of the technology is raised — which Hanzel pointed to as a major positive for future advances. “Had I been more exposed to this stuff, I would have headed more toward manufacturing instead of going through all those random jobs first,” he told me. As 3D printing continues to take hold in the Tech Belt and elsewhere, sharing knowledge and training the next generations — as well as the active workforce — will rise in importance. Fila-Mint will be discussing 3D printing and its needs and capabilities at community events, and looks forward to attending additional larger industry events, like the upcoming RAPID + TCT. Visiting with this young company, started from a garage and taking a leadership postiion in the community, provided a grounding perspective on the agility and democratization that 3D printing allows for in business and manufacturing. Learn more about Fila-Mint and its offerings here. 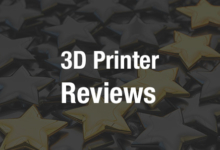 Discuss Fila-Mint, filament, and other 3D printing topics at 3DPrintBoard.com or share your thoughts in the Facebook comments below.